The image above is a beautiful picture, capturing something of a idyllic day at the Sydney Zoo – now known as Taronga Zoo. The zoo has long been a popular destination, not just for Sydneysiders, but for visitors to Sydney too, but the zoo depicted in this image is very different to the one we know today. In fact, it wasn’t even in the same place! In the mid to late 1800s, interest in animals was very strong and a Sydney Zoological Society was soon formed, reflecting this interest. Of course, they wished to establish a Zoological Park or Garden, and in the 1880s, Sydney City Council granted permission for the society to take over an area of Moore Park. The name of the area was Billy Goat Swamp. Today, the area which the original zoo occupied, including the lake depicted in this photo, is part of the Sydney Girls High School. The original incarnation of the Zoological Gardens was quite simple, but as time went by, and under direction from Charles Moore, the gardens expanded and were upgraded – eventually including an elephant house and a bear pit. Soon enough, the Zoo was wildly popular with Sydneysiders and visitors alike and the original site was deemed no longer suitable – and too small. A new site was needed and in 1916 Moore Park Zoological Gardens closed and on October 7th, Taronga Zoo was officially opened on its current site. 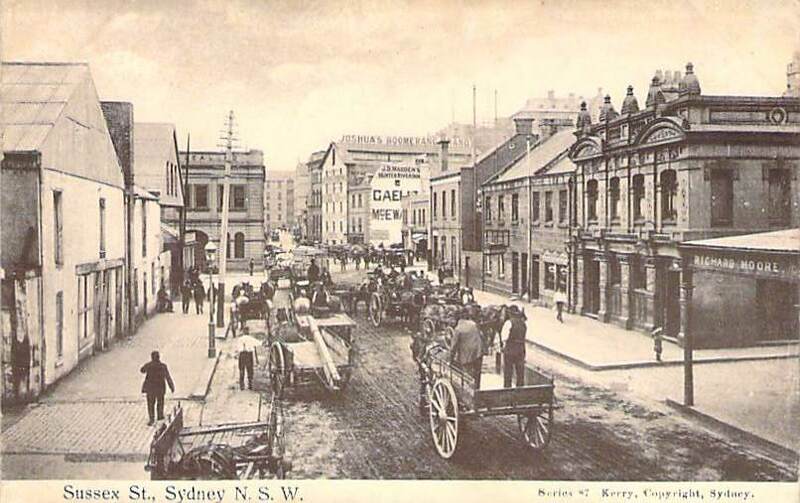 The image above is a beautiful snapshot, capturing a moment in time at one of Sydney’s historic suburbs. McMahon’s Point is today a popular harbour side suburb, it’s streets lined with the exclusive, luxurious and expensive homes of the well to do. This was no always the case though. Once, McMahon’s Point was, like so many suburbs of Sydney, home to the working classes, who lived and worked in the harbour side suburb. In the early 1800s, the area which would become known as McMahon’s Point was home to boatbuilding yards, ferry wharves and of course the many workers cottages of those who kept this industrial suburb buzzing with activity. 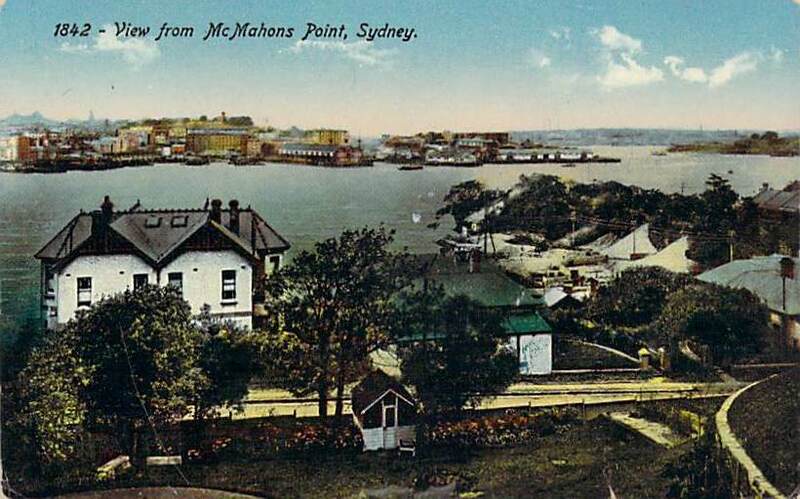 It was not until the later 1800s that the suburb became known as McMahon’s Point, named in honour of Michael McMahon. McMahon moved into the area in the 1860s, and building not only a family home, but a successful business. He was a brush and comb maker, and his work was so outstanding that he was granted a government contract and even won a bronze medal at the Intercolonial Exhibition of 1867 in Victoria. Yet McMahon was not just important as a businessman. He was also a politician, who proclaimed the rights of those living on the northern shore of the harbour to fresh water, and reliable transport. He was a fierce defender of the rights of his constituents, and served not just as Mayor but also an Alderman of the incorporated Borough of Victoria, of which McMahon’s Point was part.